Brian Annes is an associate in the Natural Resources Department of Davis Graham & Stubbs LLP, where he focuses largely on upstream and midstream transactional matters for the oil and gas industry. His practice also includes acquiring, developing, and protecting water supplies and facilities. Mr. Annes represents clients in the drafting and negotiation of various midstream agreements, including purchase, gathering, processing, transportation, marketing, and disposal agreements for natural gas, crude oil, liquids, and water, as well as purchase and sale agreements, exchange agreements, master services agreements, connection agreements, and other agreements pertaining to the exploration, development, and production of oil and gas and related infrastructure. He has experience advising clients regarding easements and rights-of-way issues and with Indian oil and gas leasing issues, including representing companies in administrative appeals before the Interior Board of Indian Appeals. Mr. Annes also has experience with oil and gas and water rights due diligence, including the preparation of all forms of title opinions covering fee, state, and federal lands. He has experience negotiating agreements with municipalities and has assisted an international government agency in the development of environmental and technical requirements for unconventional oil and gas exploration. Mr. Annes received his J.D. from the University of Wyoming, where he served as editor-in-chief of Volume 15 of the Wyoming Law Review and concurrently received his M.A. in Environment and Natural Resources. Brian graduated with distinction from the University of Virginia where he earned a B.S. in Systems and Information Engineering. 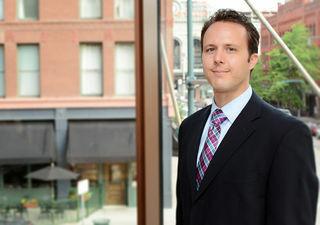 He is a member of the Colorado Bar Association and the Wyoming State Bar. Connie Rogers and Brian Annes, “NEPA Strategies: Legal Companies and Process Efficiencies,” NEPA Special Institute, Rocky Mtn. Min. Law Fdn. (RMMLF), November 2017. Brian Annes, Presentation, Unbundling — Steps and Strategies, Permian Basin Association of Division Order Analysts (Annual Seminar 2017). Brian Annes, The Value of Water in the Colorado River Basin: A Snapshot of a Fluid Landscape, COLO. RIVER GOVERNANCE INITIATIVE (2015). Brian A. Annes, Note, WATER LAW — Cooperation Abandoned to Allow Hoarding of Water: The Supreme Court Denies Right to Divert Water Across State Borders Under the Red River Compact, 14 WYO. L. Rev. 1 (2014).